If you’re on this page then you probably hold the intention of making a conscious effort to live more sustainably (and for that we applaud you!). It can be hard to know where to start though, and which products are actually going to help you on your journey. Cue: Clean Coast Collective. 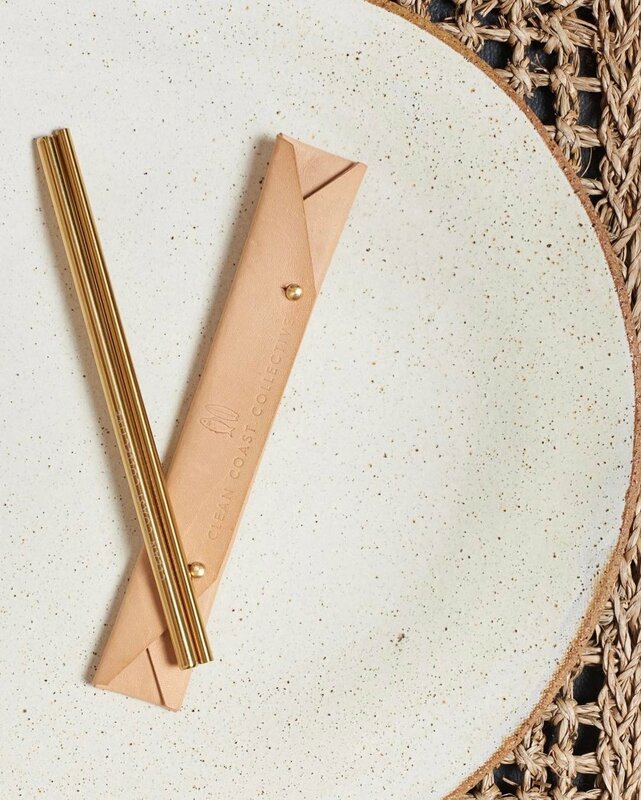 Clean Coast Collective sells stainless steel straws with an epic case included), bamboo toothbrushes and natural shampoo bars in the hope of offering plastic-free alternatives to life’s necessities. With any purchase from this brand you will not only be investing in items that will last but you’ll also be putting your money into a not-for-profit that funds beach clean-up expeditions in remote parts of our great country. Every year, Clean Coast Collective runs Trash Tribe expeditions where they take groups of creative and inspiring Aussies to clean up some of Australia’s most polluted beaches. After a week of cleaning up each beach, the group heads back home and creates projects that help spread the message about ocean pollution, and how we can all make a difference. How bloody cool is that? 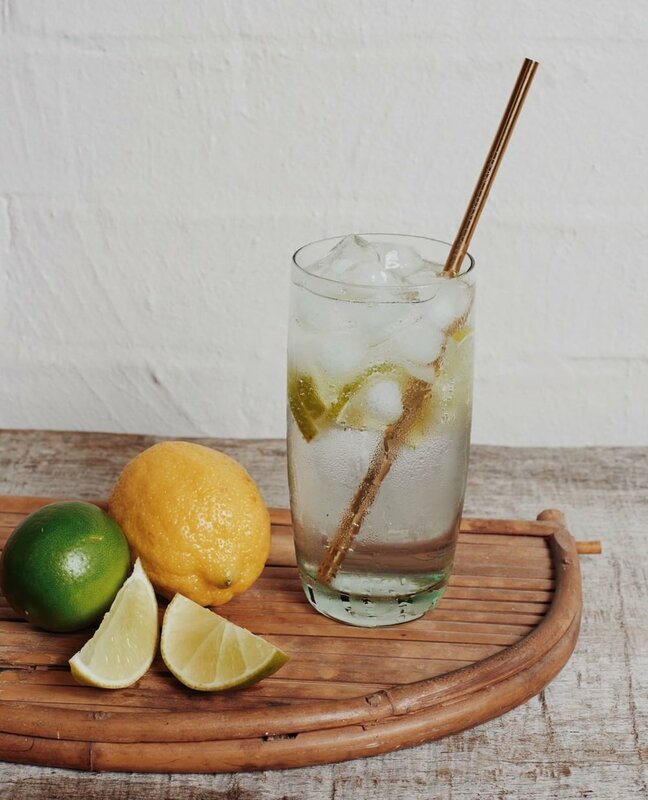 Aside from somehow making straws look luxurious, Clean Coast Collective has removed 10.1 tonnes of debris from the Australian Coastline to date. 10.1 tonnes! This could not have been done without the help of their customers, so ditch the single-use plastic and help in the fight against marine pollution. SHOP CLEAN COAST COLLECTIVE HERE. An interview with Natalie Woods, the co-founder of Clean Coast Collective. What made you start Clean Coast Collective? For years we didn't know anything at all about plastic in our oceans until we started finding random plastic objects washed ashore on remote beaches—we picked it all up and carried it home without thinking. Weekend after weekend we would find more and more rubbish, so we decided to look into the issue and found that we have been completely oblivious to one of our planet's biggest man-made disasters. We were absolutely shocked, not just by the magnitude of the problem but also by the fact that none of the surfers we hung out with were talking about this. So we started doing a few clean ups, then we put on a couple of events, and it all just evolved from there. We felt like there was a gap that wasn't reaching our demographic - we had to dig to find information on the issue - so Clean Coast Collective was our way of filling that gap and trying to get this message and awareness out to as many people as possible. What is something others wouldn't know about creating a sustainable business that you think they should? I think if you're thinking about creating a sustainable business you have to acknowledge that nothing is perfect and no matter what you do, your business is going to have some sort of negative impact on the planet. So you need to make sure that the positive outweighs the negative. You also need to realise that everything is going to be constantly changing - something that we think is the most sustainable solution now might not be the most sustainable solution in five years time. You have to be prepared to continue to research, adapt and change all parts of your business. I think just the constant juggle, which you and most of your readers would probably understand! We don't take an income from Clean Coast Collective so it's also a balance to run alongside our 'real' jobs. I always tried to fit everything in together perfectly and felt frustrated and stressed if it wasn't all working like I wanted, but I read a great interview with Lotte of Worn Store recently and she described work/life balance as a dance where life and work flow in and out of each other. This really shifted my perspective and made me realise that it's not going to perfectly balance every day or week, but as long as all the parts of life are flowing in and out then it doesn't matter if there's an overlap or an interweaving of 'downtime' and 'work time'. Within the ethical fashion community, there's a big question we ask which is 'Who made my clothes?'. In the scope of Clean Coast Collective, who made the sustainable pieces you sell? Can you tell us a bit more about them? Our products are all from different suppliers. Our Seaside Shampoo bar is made by a lovely local company in the Northern Rivers from all natural ingredients—it's amazing to work so closely with them and support a local small business. Our Island Bamboo Toothbrushes are co-branded with Melbourne brand GotWood, so these come through their supplier in China, and our Pacific Gold Straws are also made in China through our supplier. We are hoping to get over to China soon to meet the manufacturers in person, but unfortunately haven't had the budget yet do so. And our natural-dyed kangaroo leather pouches for our straw sets are handmade by a young female leathersmith in Tasmania - we love supporting a local crafter and were lucky to hang out with her at her home on a recent trip to Tassie. We are definitely still just at the start of our journey of truly getting to know all of our suppliers. I wish we were further on this journey but we are just taking it step by step—the same way we support businesses taking small steps on their journey to going plastic-free. Wow, that's a tough one! Dan and I spend a lot of time thinking and talking about what it means to be 'successful' and what the meaning of life is. I think it comes down to: if you died tomorrow, would you be happy with how you've spent your time and the impact you've created? Money, and 'success', and 'fame', it's all pointless at the end of the day. Work to live, rather than living to work. Live the lifestyle you want to live now, rather than waiting for your retirement. Be happy now, rather than waiting for 'when this happens, then I'll be happy’. Find joy in the everyday. This idea has come from conversations with all the people in our lives and also from devouring amazing publications like Dumbo Feather, Womankind and The New Philosopher. I guess we're a bit different to most in that we started as a not-for-profit, never planning to sell products (not that not-for-profits aren't businesses, but we started with projects rather than products), so we've had a different trajectory to most people who are thinking of creating a sustainable business and I think this has made us approach business in a really different way. My tip would be to really think about why you are starting this business and for what outcome—are you just out to be the next success story, or do you want to create real positive impact in the world? Running a business is tough and you're going to need a reason bigger than yourself to keep you going through the low times. Your passion for a better world for people and nature will keep you going when money is tight, when you're still working your day job, and your inbox is overflowing. If you do stick it out, the amazing impact you make will be SO much more rewarding than just money in the bank or product sales. Where do you envision Clean Coast Collective in the future? Hopefully we'll be running multiple Trash Tribe expeditions a year to remove tonnes of plastics already in our oceans, and have a range of plastic-free products on offer to fund these expeditions. The real dream is that eventually we are put out of business because the oceans are clean and we no longer live in a society plagued by plastics! We are so lucky to live in a community of inspiring people in Byron Bay. We run a co-working studio called The Corner Palm and are surrounded by inspiring people everyday - just this week a guy walked into our studio who is an ethical mortgage broker! I also work with the incredible people of Small Giants: a family of businesses using business as a tool for positive change in the world. It really is true what they say about surrounding yourself with people that inspire you. Passion is contagious so surround yourself with changemakers and people making the world a better place. We live in a beautiful timber home tucked away in Byron so we wake to the sound of the ocean and look out our bedroom window into swaying palm fronds. I wish I could say I leap out of bed and go for a surf, but lately I've been super lazy and have been staying in bed as late as I possibly can. Then Dan, my partner in Clean Coast Collective and life, makes me brekky (spoilt) and then we rush off to The Corner Palm to open up the space. After opening the studio we wander across the road to grab a coffee and then dive into work when we get back to our desks. Recently I've been starting the day by choosing three things I want to achieve in the first half of the day (I learnt this from Frankie of The Design Kids who asks me every morning what my three things are!). It's a great way to set three small achievable goals and launch into them. If you're planning on starting a business, or already have a business, 'The Responsible Company', by Patagonia—a super easy read on the Patagonia story and then a handy checklist to go through with your own business. Are there any other Movers and Shakers out there in your world that you think people should know about? Ahhh so many! We are so inspired by Heidi from an organisation called Tangaroa Blue—we partner with Tangaroa for our Trash Tribe expeditions and Heidi is the most devoted and hardworking person we know in the ocean conservation space. Her determination to create a world with less plastic pollution is so inspiring, and continues to inspire us whenever we are feeling exhausted or overwhelmed by the issue. In terms of sustainable brands, I love the ladies behind the new vegan handbag label The Ahimsa Collective, and I'm also so proud of our two friends, both named Jess, who each have separate ethical and sustainable brands, Tasi Travels and Jume.